Join a team with a passion for making a difference! Chrysalis recognizes the value that every individual contributes to our community and to making each day meaningful. We believe in helping our staff and individuals become the best they can be at work and in life. Chrysalis is an equal opportunity organization that embraces our diversity. We foster an environment where respect, trust and service flourish not only for the individuals we serve but also for each and every staff member. Throughout the year we hold special staff events to celebrate the diversity of staff, volunteers and cultures. Chrysalis also believes in a healthy work environment. We have committed teams that review our service guidelines, health and safety practices, processes, policies and procedures. Another way staff participate in designing our corporate culture is through staff surveys. The feedback helps to ensure Chrysalis maintains or improves our healthy work environment whereby our five guiding principles of Community, Abilities, Respect, Empowerment and Social Network are fulfilled through our work. Chrysalis truly cares about people and recognizing the value that every individual contributes to make each day meaningful Our team provides daily support to individuals with disabilities achieve their employment, volunteer and recreational goals. 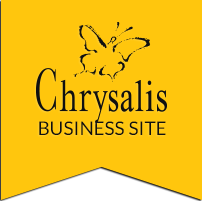 Chrysalis has a variety of administrative positions in finance, office administration and human resources. These positions provide services to internal teams, clients, customers and volunteers. Together we help make a difference. Chrysalis has a Woods and Plastics production division. Through the hard work and dedication of these units and the sale of their products we are able to enhance our disability services programs. Either as a production worker building pallets, crates and custom wood products or as a worker ensuring the quality production of various plastic products.